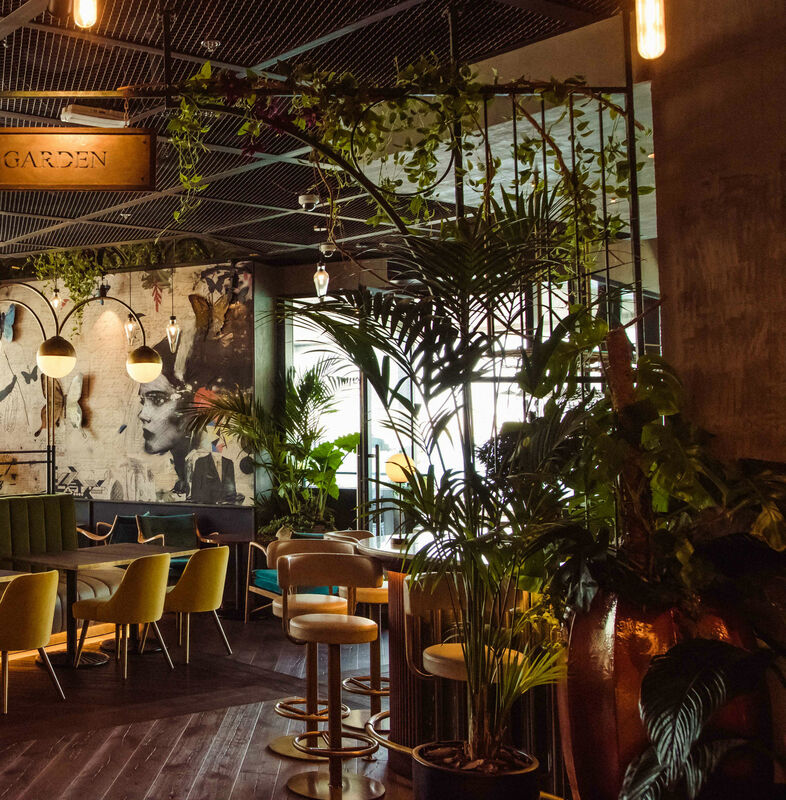 Make an escape from the concrete jungle over dinner and drinks thanks to theses greenery-filled, botanically inspired venues in Dubai. While we wouldn’t change our city lives, sometimes we need to disconnect from the concrete landscape of towers and flickering lights, even if that’s just an hour or so over a dinner that reconnects us with nature. From restaurants that have menus that are inspired by the earth to lounge-style eateries that go overboard with shrubbery, here are some of the best botanical-inspired eateries in the city to escape to. Still a relative newcomer, this quirky restaurant has quickly become one of our favourite places to spend an evening. Standing on the newly opened Bluewaters Island, even the location glancing over at The Palm, JBR and the Marina across the waters adds a sense of separation from the city. As soon as you approach the venue, greenery surrounds you, from the picture-worthy entrance to the plants hanging, potted and draped around the entire venue as decor. With a delightful menu that brings together sweet and savoury in a unique way with flavour combinations such as strawberry and avocado or coffee and beetroot salads to chargrilled tiger prawns with salsa chilli coconut and mint dressing that measure up, it’s as satisfying for the stomach as for the eyes. The drinks are just as refreshing as the unique earthy dishes, and the service is both warm and attentive. 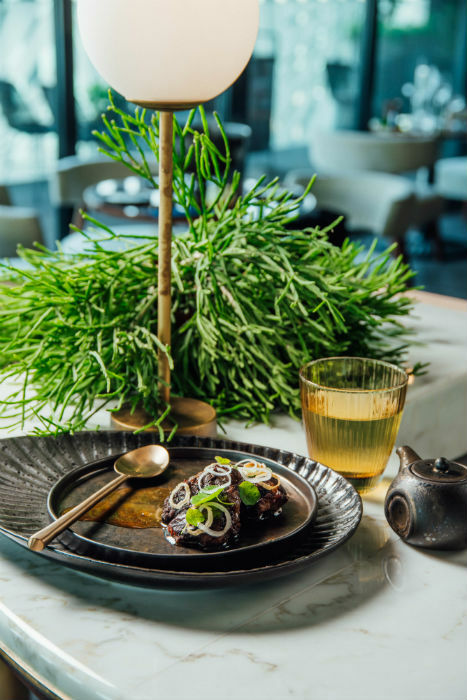 After a trying day in the office, stop by for a few exotic beverages and nibbles to re-awaken your love for all things plant at this DIFC joint. 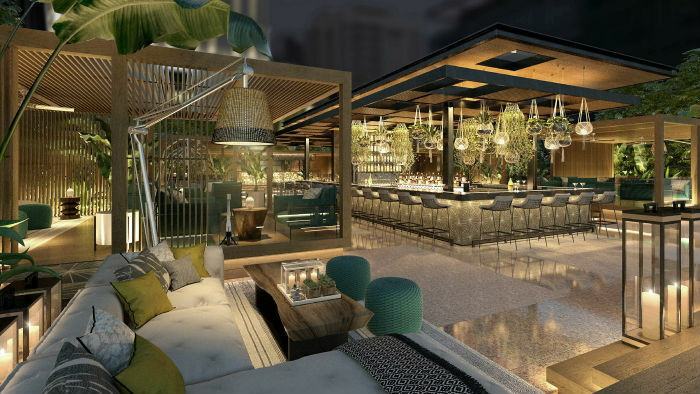 The colour palette is just as jungle-esque as the digestible offerings on this rooftop, and the herb-infused drinks and floral-inspired sharing menus are a delight. Think dishes such as Padron peppers with Persian feta pistachios or crispy tuna tartare with balsamic and honey. With different themes and event most nights, you could stop by on a Wednesday to listen to some live saxophone playing crossed with deep house music or Wonderland themes event every Monday. 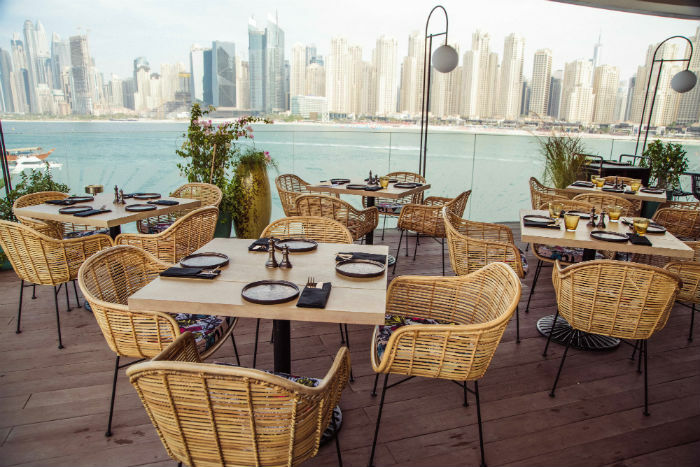 Okay, so it might not be an escape from the towering building of Dubai city with one of the greatest views of the Burj Khalifa about, but with such a name and menu, you’ll definitely feel a little closer to nature after a meal at this Address Downtown venue. Secret Garden’s beautiful foliage within the venue contrasts with the manmade marvels surrounding it, making dinners feel like they’ve stumbled onto a rural secret in an urban setting, with a fresh menu to match. But with exotic fruit and herb-infused drinks that are not your average, it’s worth popping in for a refreshing beverage and well as a tasty meal. READ: Is This The Healthiest Diet in the World?